Limited Edition Art Print: From the celebrated artist who has designed posters for some of the greatest rock bands in history, here is your chance to get your hands on a limited edition print that has been signed and numbered by the one and only, Frank Kozik himself. 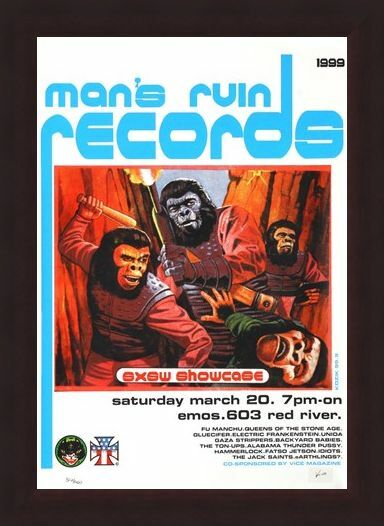 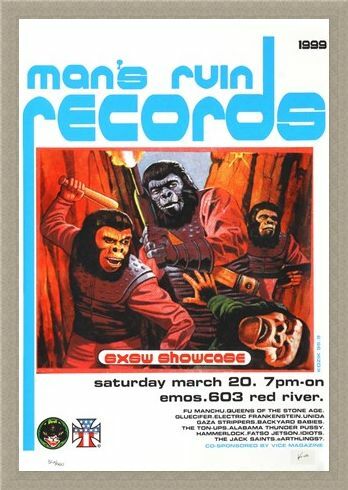 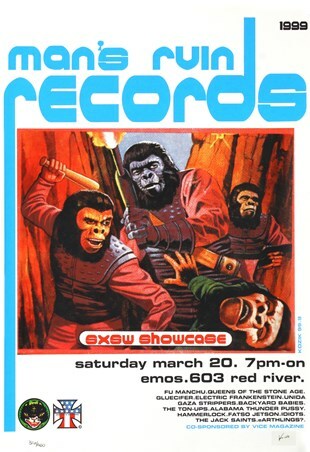 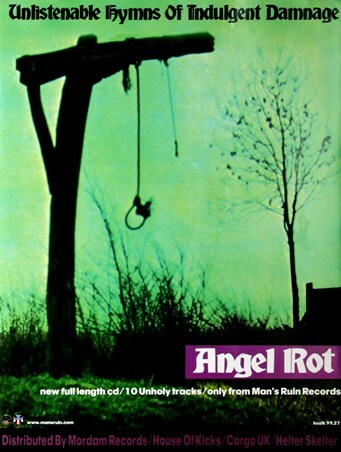 This promotional poster advertising the SXSW Showcase, presented by Kozik's own record label Man's Ruin Records, is a fantastic piece depicting a scene reminiscent of something from The Planet of the Apes and was sure to grab the attention of music lovers who could have gone to see, Queens Of The Stone Age, Fu Manchu and Alabama Thunderpussy at the rock festival. 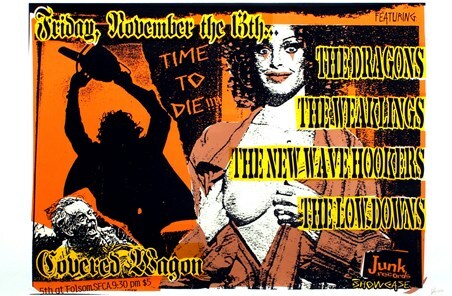 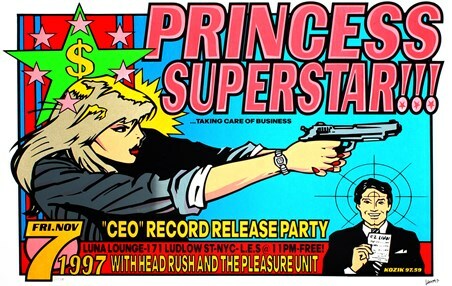 Just as this would have caught any rockers eye when it was promoting the showcase it will equally command attention on the wall of any fan of the artist known as, "one of the rock world's top poster artists". High quality, framed Man's Ruin Records SXSW Promo, Frank Kozik limited edition print with a bespoke frame by our custom framing service.